Losing your hair can be an embarrassing situation to go through, but it happens to million of Americans. While most of the people who lose their hair are over the age of 40, anyone can get bald spots and lose hair. You lose your hair from an illness, a bad diet, but--most of all--hair loss is hereditary. You lose your hair when your skin cells become damaged and stop producing the chemical keratin. Keratin is the key chemical that is used to grow hair, so you must produce enough if you want to grow your hair back. You can make your scalp grow hair back naturally by drinking enough water, eating enough protein and drinking green tea. Use aromatherapy to make your scalp grow hair back naturally. 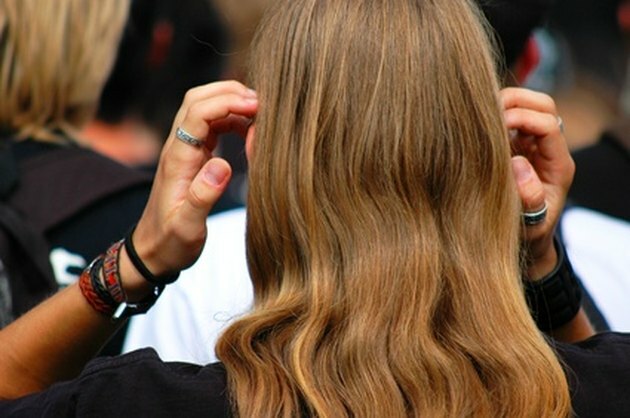 A November 1998 "Archives of Dermatology" reports that 44 percent of 43 patients who applied a combination of oils to their scalp for seven months grew new hair on their scalp. Aromatherapy uses essential oils to open up your skin follicles and help your body produce keratin again.